Oh boy! This handmade non slip headband will add some trend-setting flair to your workout, everyday errands or trip to your favorite park. Thanks to its velvet lining and elastic back panel, this practical yet stylish accessory will stretch to fit and stay in place comfortably no matter how intense your activity may be. Makes a great gift for runners! The background is white. 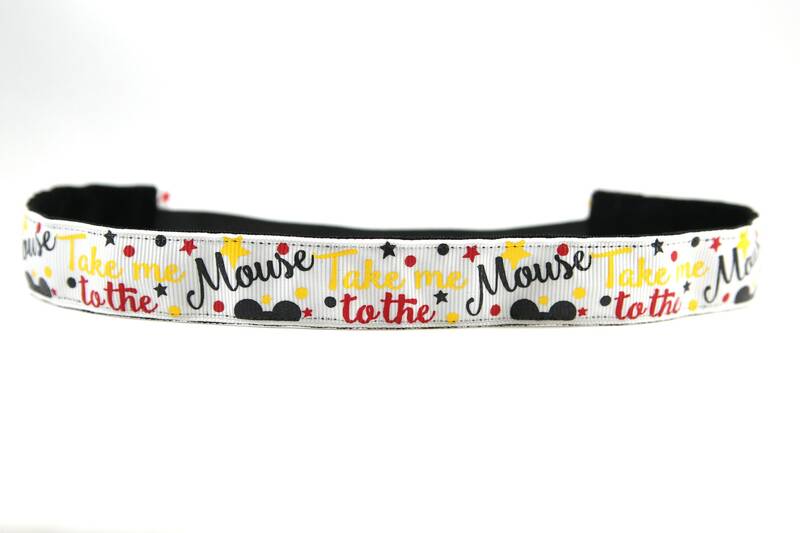 It features a magical print of mouse ears, dots and the phrase "take me to the mouse." The velvet lining is black.